Posted on November 15, 2016 by No Map Required Posted in Places, United States, Washington	. Things have been crazy around here with Aaron getting a new personal assistant client and me all signed-up for my dream job… yep, life is about to get Nine-To-Five Real here any second. After two glorious years of setting our own schedule it’s time, once again, to start filling the money bucket…but first, how about one last get-away? Oooo! We just can’t help ourselves. Waking up on a spectacular fall Thursday, we made the impromptu decision to head off to Whidbey Island (biggest island in the continental US) for a couple of days. Given how ridiculously close we live, it’s kind of crazy we haven’t been there together. We both visited pre-married life – was that really 8 years ago!! !, but now I know we’ll be back to this sweet little arty, wine-filled, dog-friendly oasis. It all started with a quick ferry ride. Did you know, WA state has the largest fleet of ferries in the world? You read that right – world. About half an hour later we were transported to the quaint island town of Clinton where we had a burger, grabbed a local newspaper and made our plan. Turns out the Weavers Guild big annual show was happening Friday/Saturday so just like that, we had a goal for the weekend! We s l o w l y worked our way up the island, stopping here and there at art studios and galleries and making out-of-our-way trips down various lanes just to check out the scenery. 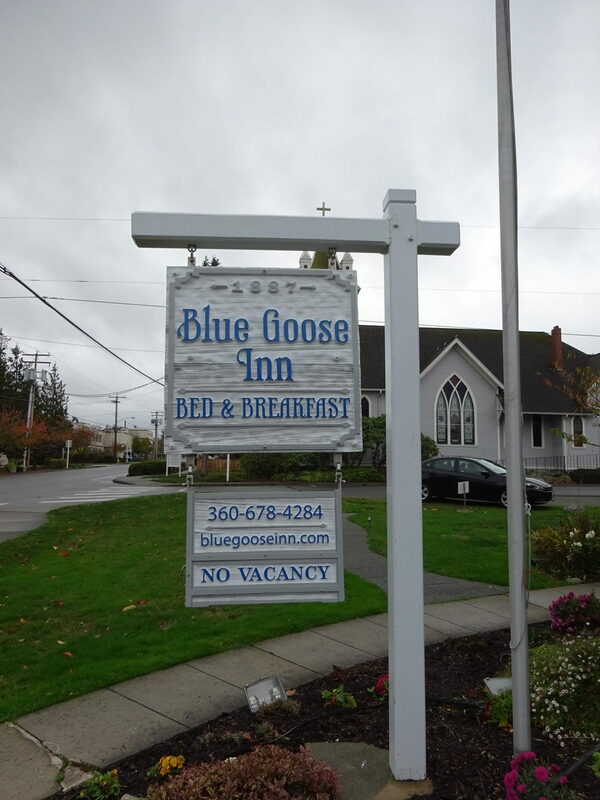 In Coupeville, our home base for the weekend, we gloried in the B&B luxury of the Blue Goose Inn. We picked it because Anner’s dad had an old beat up tow truck by the same name… plus it got rave breakfast reviews. Nothing beat up about this place! No sir…it was spectacular! 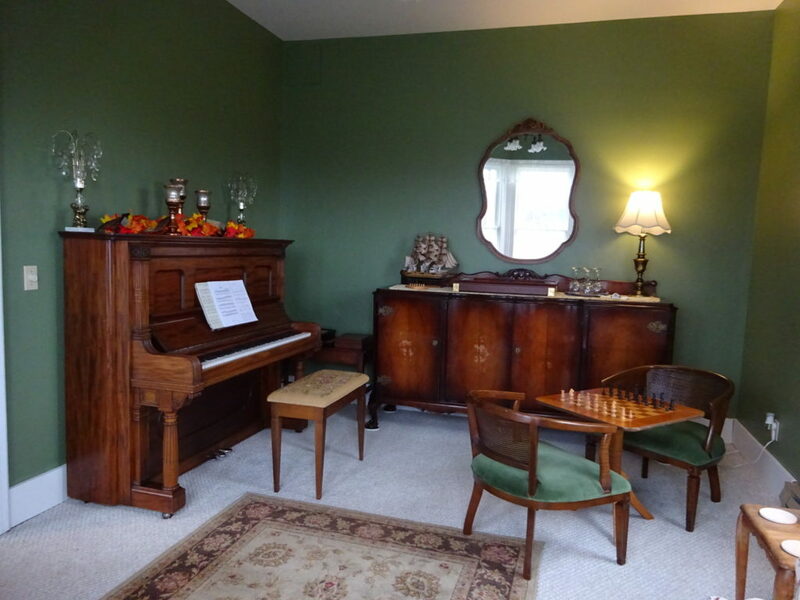 We were right next to the game “parlor”. Yes, please. Friday morning started with homemade eggy breakfast and pumpkin coffee cake (Aaron was in heaven) and then we headed off adventuring in search of our first art studio of the day. 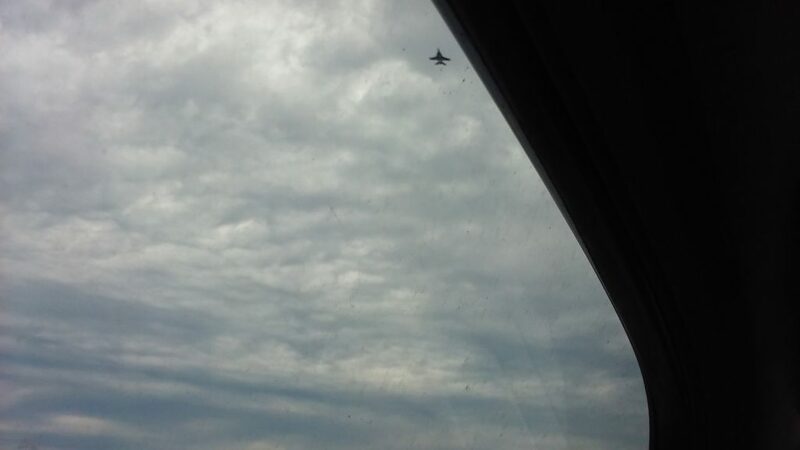 Driving out of town I (Anner) noticed a fighter jet in the sky. 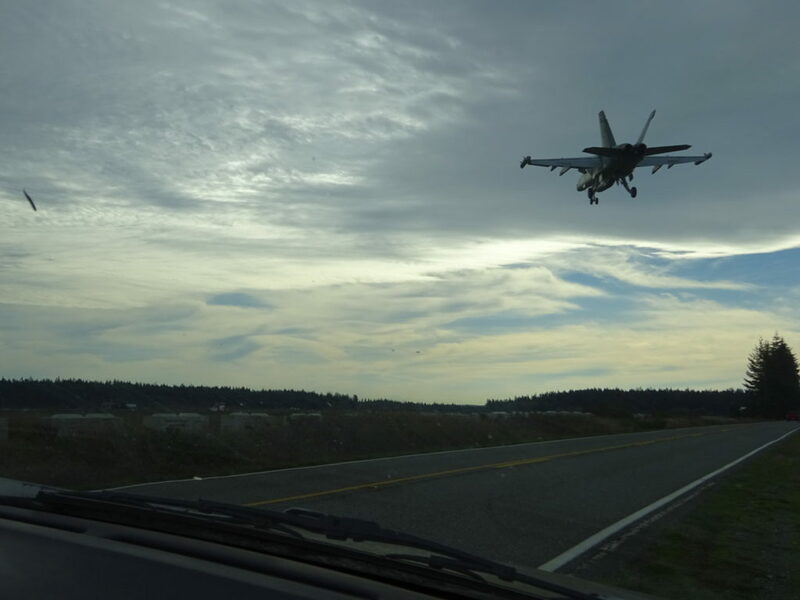 Not too surprising, I guess, as Naval Air Station Whidbey Island is located on the island. Seconds later, though, I yell, “FIGHTERJET!! !” like a crazy woman as the jet passed RIGHT in front of our car! And I do mean, RIGHT. IN. FRONT. No zoom and that’s the hood of the car. Close enough for ya? A quick snap out the window. Turned out to be training morning for seven jets! While these pilots worked their touch-and-go landing exercises in preparation for working on aircraft carriers (naval station, remember? ), we pulled to the side of the road and got our own air show for the next hour. Unbelievable! Wanna see it up-close and personal?? Just click on the arrow on the picture below. Honestly, you won’t believe how close we were — so go ahead and click! The video is only about 30 seconds long…we’ll wait. 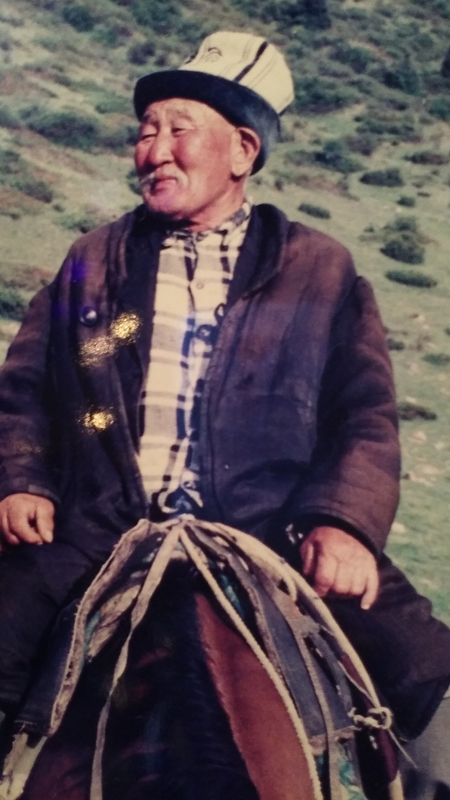 Vrooom! This was definitely a highlight of the visit, but we still had so much more to see. Off to the Cook on Clay studio– guarded by some ferocious (not!) standard poodles. I’ve seen this pottery in magazines and it’s every bit as amazing as I thought it would be. The artist, Robbie Lobell, stopped what she was doing to describe for us her technique in making these gorgeous cooktop, oven, dishwasher and refrigerator safe pieces. We loved them, but having not worked in a couple of years, we will continue to admire them from afar. Someday, though! 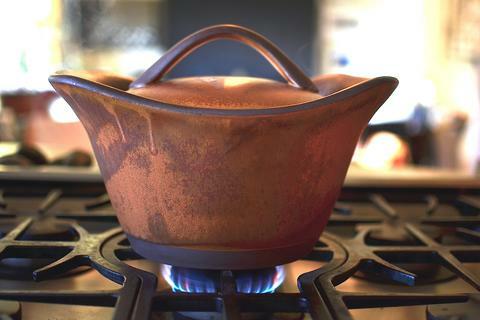 Photo compliments of the Cook on Clay website. …when I grabbed Aaron’s arm and started to yell like a crazy woman again, “EAGLES!!!!! 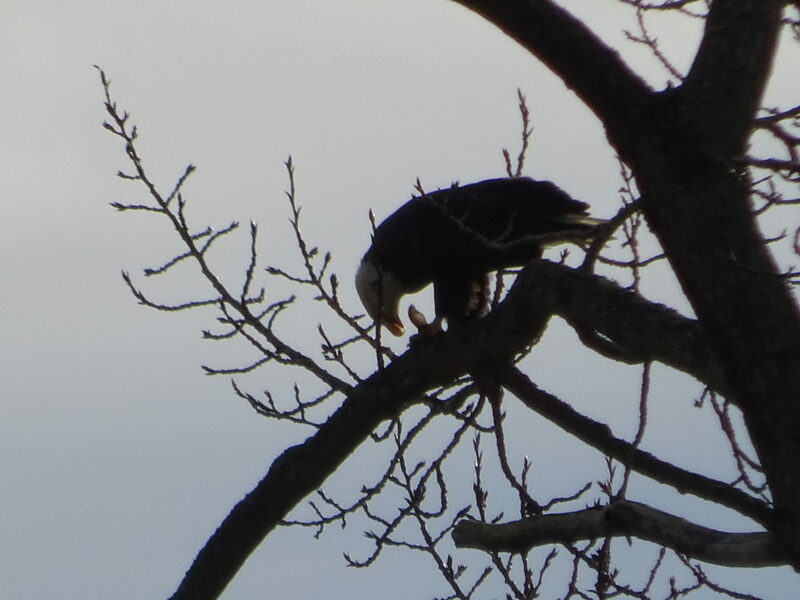 !” as two bald eagles flew RIGHT. IN. FRONT. of us. I’m not exaggerating. We could have touched them had we not been so bloody shocked! They swooped into the water, grabbed some seafood lunch and headed to a tree. Fighter jets and bald eagles, this was turning out to be quite a patriotic vacation. Moving on, I lost count of how many galleries we walked through and how many dogs we petted over the weekend. A lot. We visited Clinton, Langley, Coupeville, Greenbank and Freeland, along with a studio or two outside of the towns. All totally doable in a couple of days. 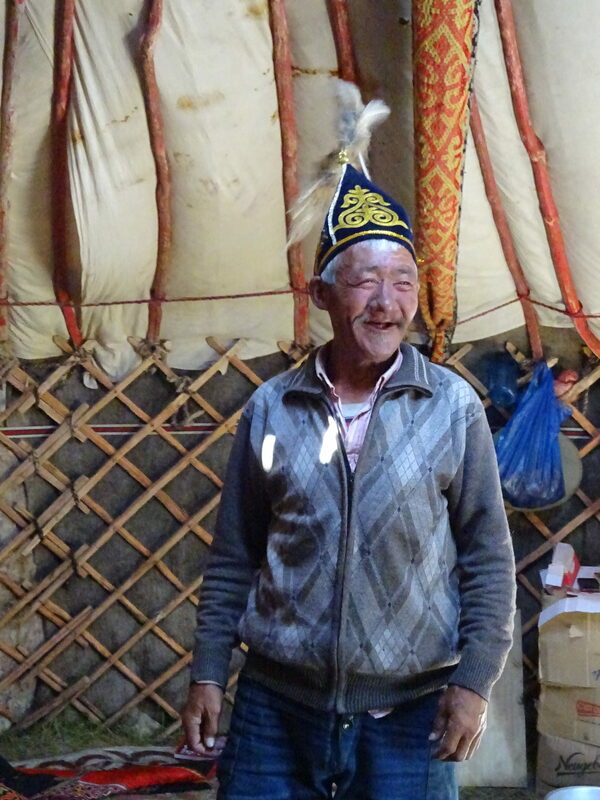 Talking with a couple of different artists, we learned a bit about both felt and straw style hat making. Much different from the Japanese origami wool and fleece hats we made in Stockholm, these were still very fun. Did you know that some straw hats are made on molds that come apart like puzzles? The straw blanks get soaked in preparation for shaping to the hat forms, then dry in place around the molds. Now the mold has to be broken into pieces otherwise you couldn’t get it out of the hat! Amazing engineering. Things you just don’t think about every day. We also went into quite a number of the knitting / crafting / makers kind of stores where you never know what you might come across. 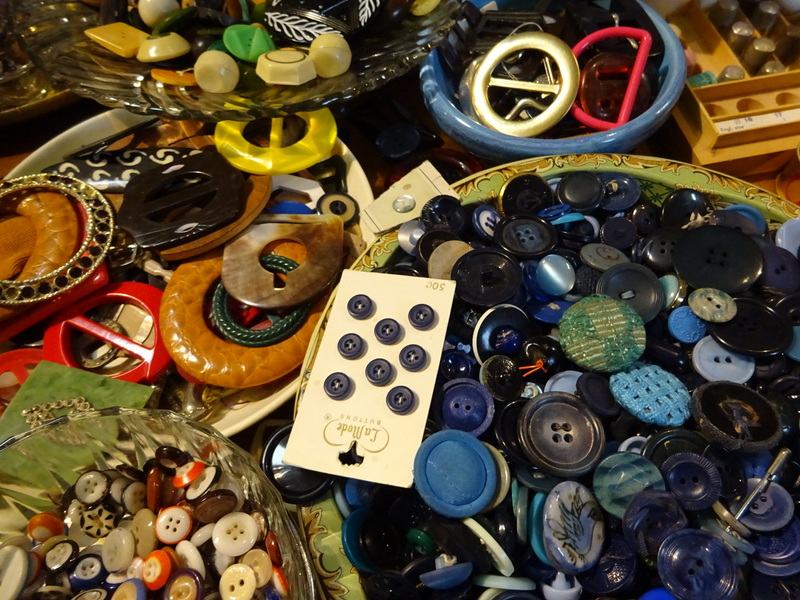 This store boasted of having 1/2 million vintage buttons. Not cheap, but really neat to see. Smokey Joe: one of our many hosts. He’s not wearing it here, but he usually wore a hat matching the one in the first photo! I don’t know. I think it’s the same guy. Does anyone know better? Okay. That was a little weird. 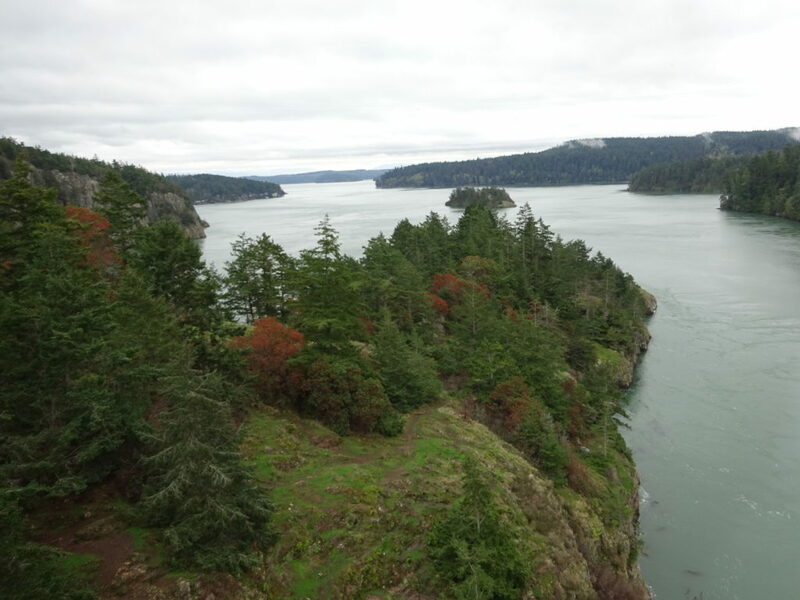 And then there was the bridge at Deception Pass. To me it bears a striking similarity to the Storms River Bridge we explored in South Africa. Of course bridge structures are often similar due to engineering constraints, but these too seem eerily familiar. And just like in South Africa, Aaron zipped off the road as soon as we crossed the bridge so we could hop out for a look around. Love me a bridge! 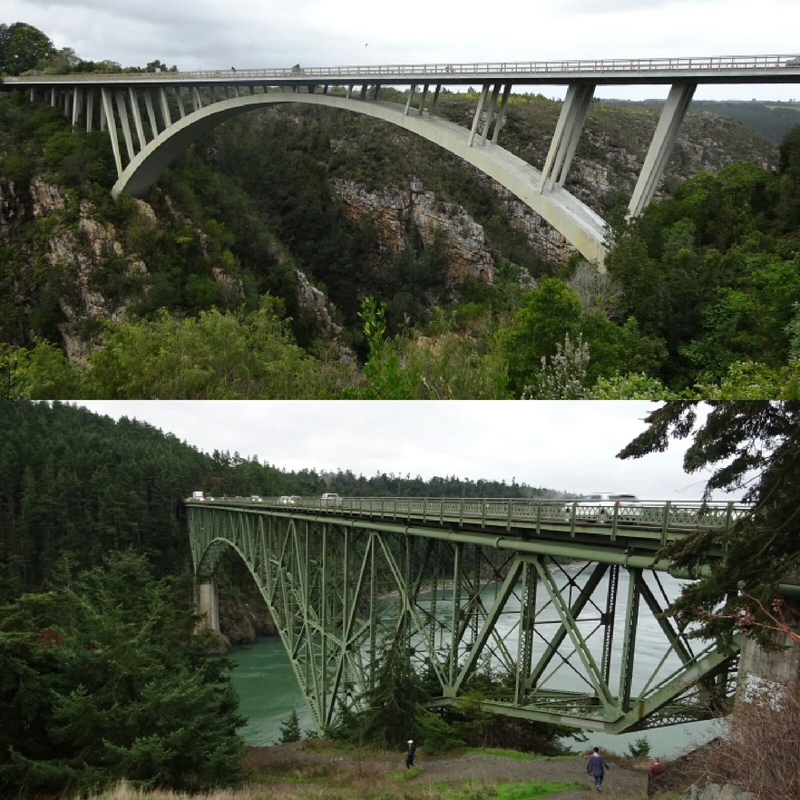 Storms River Bridge on top, Deception Pass Bridge below. Deception Pass made for a glorious finish to our Whidbey explorations. The state of Washington just never disappoints when it comes to the views. We drove north off the island and home via La Connor – also having an arts festival as it turned out! So nice having such an art-filled weekend. The perfect celebration and “get-away” time before the new jobs start in earnest. 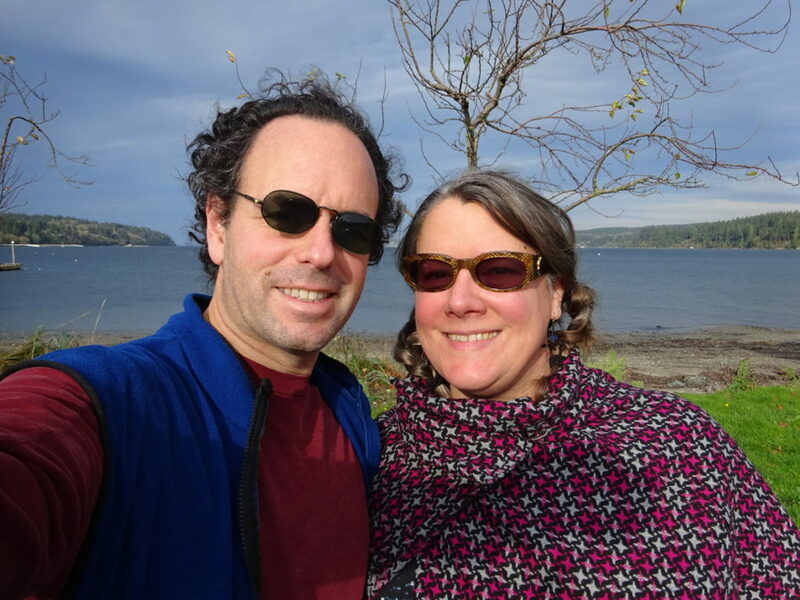 Thanks, Whidbey, we’ll be back! The fighter jet video was great. The jets are amazing and very noisy. I’m glad they are on our side. Did Aaron get the cool hat? It looked like the sorting hat from Harry Potter. Where/what is your dream job? 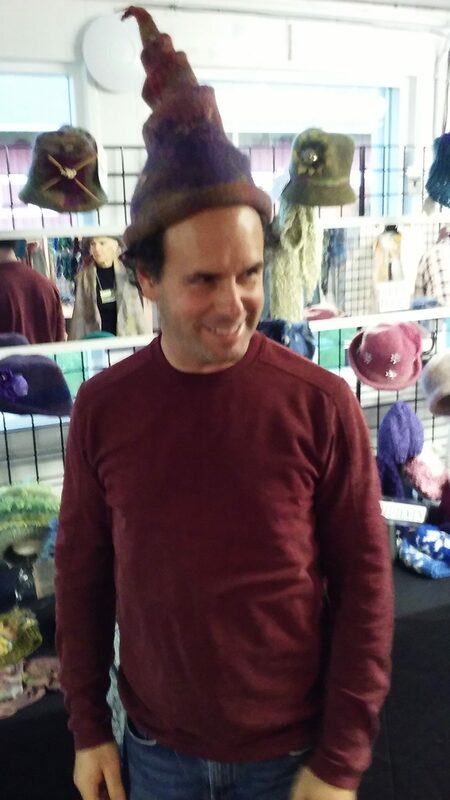 Afraid I didn’t get the hat – it was simply too small for my big noggin! That’s the trouble with so many of the cool hats, us big-heads just don’t fit. Hah! Anner’s new job is with a tech start-up called Navigating Cancer. With her years of volunteer work helping out the Seattle Brain Cancer Walk and the Ivy Center, it’s right up her alley. She started last week as the office manager and onboarding specialist for new hires. Really, really exciting as the position is ultra-flexible so she’ll be able to define it as she goes, giving her sense of how a company runs best and happily along the way! I expect NC is going to become one of the best, most fun places to work by this time next year! Glad you had a great trip! Why didn’t you call? We could have met you. Though I know you like some “just us” time, too. I love the shops on Whidbey. Also, a member of the LaConner Quilt Museum. I agree with Andrea. We definitely need more info about this “dream job”. Fess up. 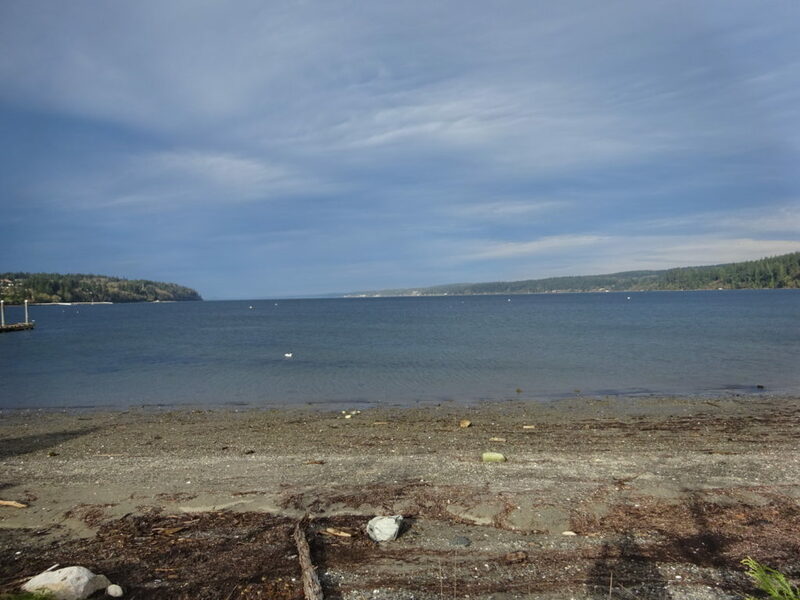 Hi Aunt Casey – we had plans to call…then the ferries went down! We made it onto the island from the south, but the PT ferries were down for the weekend. 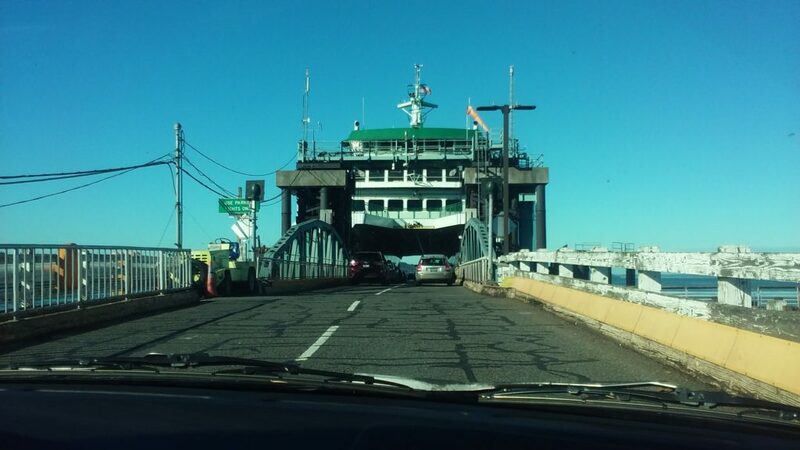 Then, when we were ready to go home, the Mukilteo ferries ALSO went down, so driving around was our only option. Next time we’ll call for sure. 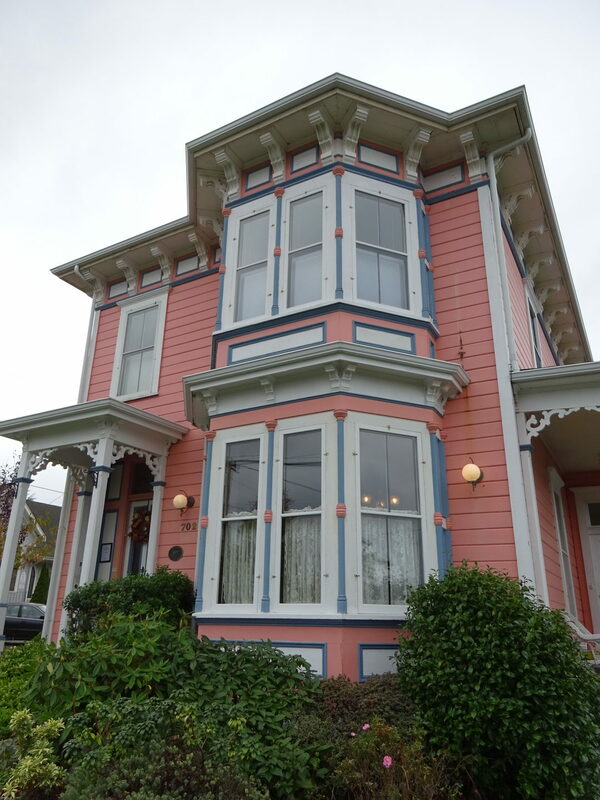 I hope you stopped at the “Purple House”Doughnut Shop in Anacortes? If not you missed something! Now you’ve got us curious, Cordelia! We completely missed the Purple House, but it’s definitely on our list for next time.